Polish rabbi and author; died in 1715. 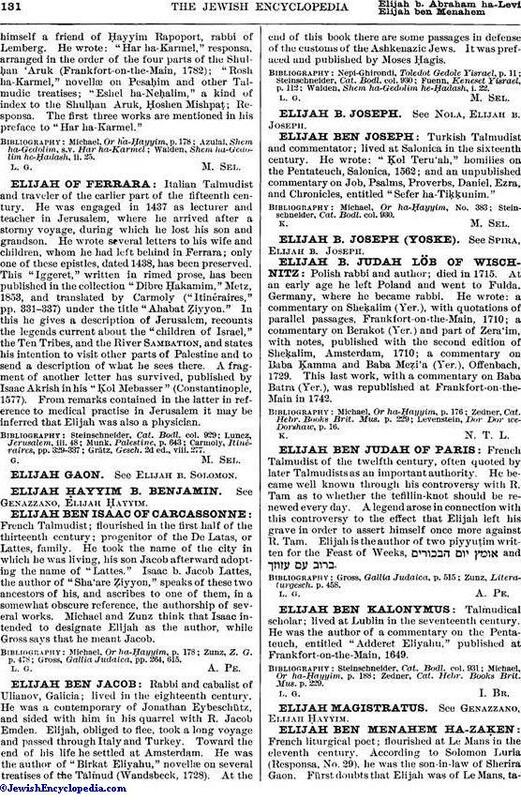 At an early age he left Poland and went to Fulda, Germany, where he became rabbi. He wrote: a commentary on Sheḳalim (Yer. ), with quotations of parallel passages, Frankfort-on-the-Main, 1710; a commentary on Berakot (Yer.) and part of Zera'im, with notes, published with the second edition of Sheḳalim, Amsterdam, 1710; a commentary on Baba Ḳamma and Baba Meẓi'a (Yer. ), Offenbach, 1729. This last work, with a commentary on Baba Batra (Yer. ), was republished at Frankfort-on-the-Main in 1742. Levenstein, Dor Dor we-Dorshaw, p. 16.